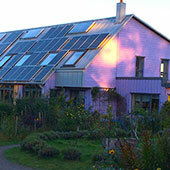 On the 13th of October 1995 Jonathan Porritt opened Europe's first Living Machine ® at the Findhorn Ecovillage. 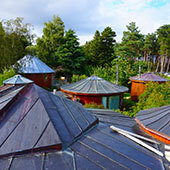 This ecologically engineered sewage treatment plant is designed to treat sewage from the population of up to 500 people living at the Findhorn Ecovillage and is providing a research and educational facility to promote ecological water treatment technology throughout the world. 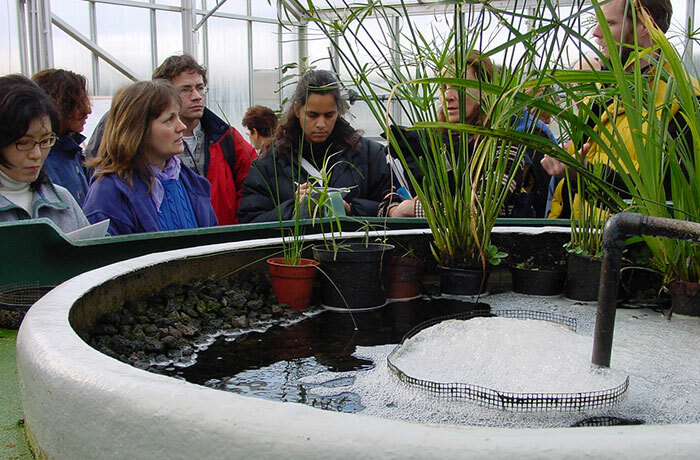 Ecological water treatment systems such as the Living Machine ® and Biomatrix ® Remediation systems, treat wastewater based on a 'whole systems' approach to biological technology. 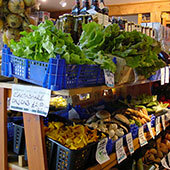 They utilise a set of sequenced, complete ecologies. Treatment can be taken to advanced standards in cost effective projects, which are reliable, robust and aesthetically pleasing. The approach represents a shift from high energy, chemically intensive treatment, to the adoption of the principles of ecological engineering. In the Living Machine ® sewage arrives in a greenhouse containing a series of tanks. 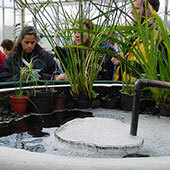 Diverse communities of bacteria, algae, micro-organisms, numerous species of plants and trees, snails, and fish interact as whole ecologies in these tanks and biofilters. These mirror processes that occur in the natural world, but do so more intensively. At the end of the series of tanks, the resulting water is pure enough to discharge directly into the sea or to be recycled. The technology is not only capable of meeting tough new sewage outflow standards, but uses no chemicals, and has a relatively inexpensive capital cost attached. 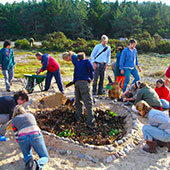 Biomatrix Water is based at Findhorn and the founding partners of the Biomatrix Water team have over two decades of experience designing and delivering ecological engineering projects for the treatment and recycling of municipal and industrial wastewater and bioremediation. The design approach applies current best practice in modern wastewater treatment and process control with the latest developments in ecological engineering. The resulting research shows that the wise use of modern materials, biomimicry, and design innovation, provide an effective solution to the problems of urban water pollution and aquatic habitat degradation. LIVING MACHINE ® is a registered trademark/service mark of Iasis Limited, Taos New Mexico. All rights reserved. 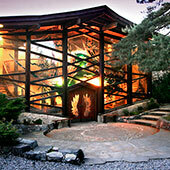 BIOMATRIX ® is a registered trademark of Biomatrix Water LLP, Findhorn, Scotland. All rights reserved.